I have been looking high and low for a spare firing pin for my 23" 7.62x54r Vepr. Since the sanctions were out into place I realized I was not prepared with enough spare parts to give me peace of mind. Finally my curiosity got the best of me so I took my firing pin out and compared it closely to the one in my .223 Vepr. Everything looks identical except for the end that the hammer comes into contact with. The bigboy caliber is about 1/32" longer. I'm wondering if all Vepr pins start out the same length and then taken down specific to whatever rifle it is going in. If that is the case, I wonder if this is something that someone with more machining skills than I have could make some money doing. I certainly would buy a couple extra for both calibers. What do you guys think? I keep saying this over and over. If someone with the know how and right equipment would make much needed wear parts (extractors,firing pins, springs) for the saigas/veprs they would make a killing. Nobody wants their gun rendered useless over something like a extractor. Damn near every saiga/vepr owner would purchase these parts and there is NO competition, couldnt even get spares from the factory before the sanctions. There are literally thousands saiga/veprs on the streets and they are still selling out. Some people have offered firing pins and extractors on other forums . The demand is high for these parts and someone out there would be wise and jump on this. If I had the ability to produce these parts for sale Id be all over it, 100% confident that Id sell every part I made. Well hopefully that comes to fruition. Had I known (hindsights 20/20) I would have bought a double of every Russian rifle I own. I wanted that Vepr for a long time and stockpiled spam cans of 7.62x54 so I would have a heavy hitting battle rifle that would shoot cheap ammo. Now I have that, but I find i baby it more now. I don't buy guns to baby them!! I believe there is a member on vepr forum making these. Rusmilitary has vepr 12 bolt assemblies available for $300. I plan on doing things like this, but I am still in the process of tooling up. it's a spendy venture. Is the extractor issue a common theme with 54r Vepr's? Theres money to be made. For extractors do heat treated steel in .308, .223, 7.62x54r, and 12g. Same for firing pins spring loaded with the collar. 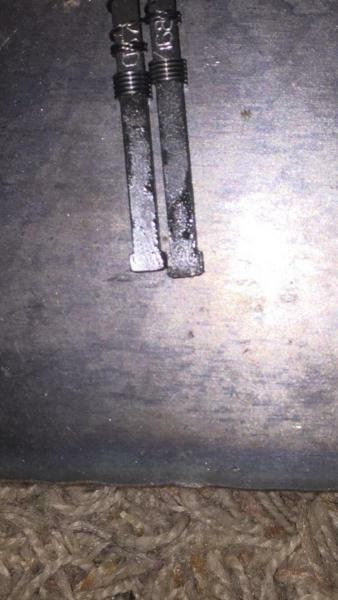 Tromix only makes half of the 12g firing pin assembly so make the other half (part thats actually hit by the hammer). Spring loaded 7.62x39 and 5.45 spring loaded firing pins with collar would be good. I wouldnt worry about 7.62x39 or 5.45 extractors since they are already widely availible. I have seen a few reports of broken x54r extractors. Supposedly they are cast steel. he hasnt really marketed them. Once words out I know pretty much every vepr/saiga owner will want at least one for piece of mind. Like I said there is NO competition, and no body wants their gun rendered useless because of a simple firing pin, extractor or extractor spring. Does any body want to buy a duplicate rifle/shotgun just for one of these small parts? Started a poll in general discussion to show demand. Cast your vote so we can get these parts made! Great idea Vepr12x for starting the poll! Yes I am familiar with the U.S. made extractors and have purchased one. Looks very well built. As for the firing pins I emailed the seller of the only US made "molot" style that I know of to ask the end to end length. I am thinking all the Vepr rifle firing pins may be the same except for the length, with the part that contacts the hammer being shorter or longer, depending on caliber. Can't find the actual firing pin springs anywhere though. If we are thinking about the same firing pin seller, he sells the complete assembly with firing pin, firing pin spring and collar. 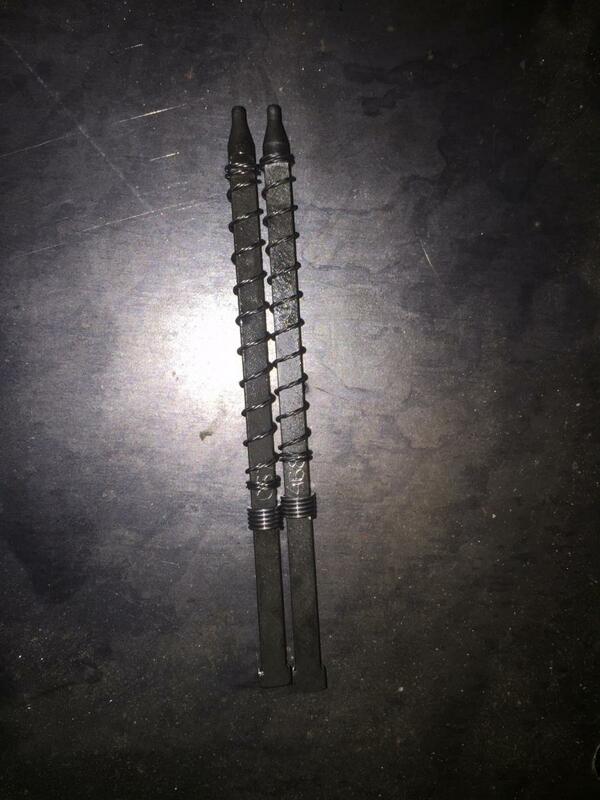 Saiga stock dot com had saiga factory firing pin springs for .308 for sale (might work for x54r??). I'm selling them in the marketplace over on the files.